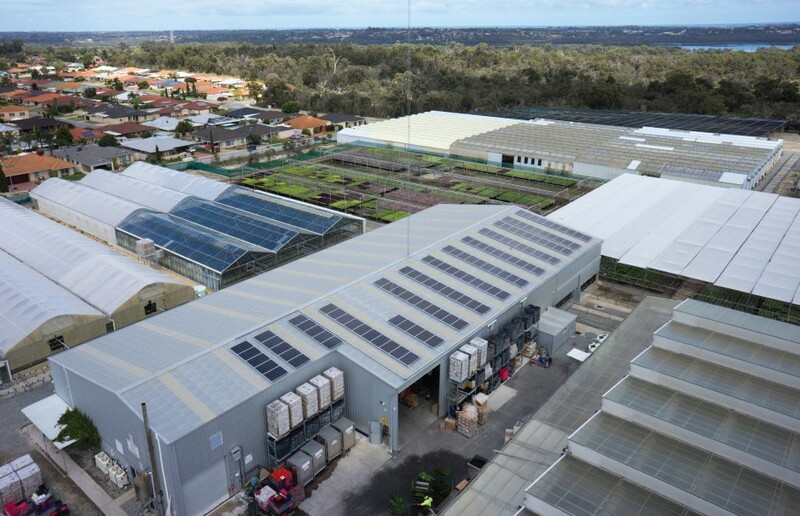 Benara Nurseries are Australia’s largest wholesale nursery with two major sites in the northern suburbs of Perth, in Wanneroo and Carabooda. Luckily for them their main Carabooda site has several electricity meters allowing them to install multiple smaller systems to cumulatively acquire the 103kW system they requested. Systems up to 30kW in size do not require the costly electrical engineering expertise and reverse power protection equipment associated with systems larger than 30kW installed on a single meter. The 103kW system Solargain installed was therefore split up among the four electricity meters at that site. The Wanneroo site has one main meter and a 30kW system has been installed at that location. The electricity usage at both locations will warrant expansion of a number of the systems in the future and Solargain look forward to assisting Benara with appropriately increasing their solar capacity in the years to come. 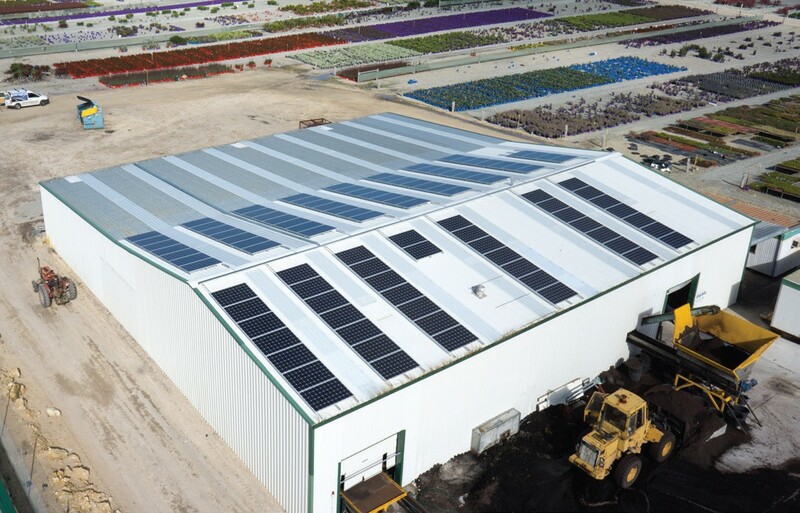 One of the challenges with the main site was the locations of the various sheds and distances back to distribution boards where the power source is located. A lot of planning was required to appropriately cost the trenching and non-standard cable runs required. This planning and consultation was time well spent as Solargain have been able to deliver the project as per the original quotation without any additional alterations or additional costs to the client. 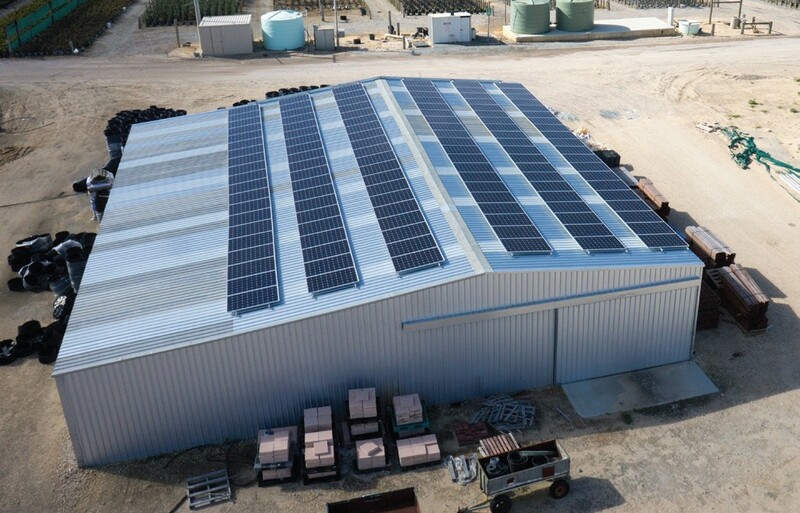 At the Carabooda site the 103kW system is split up into a 31kW system on the Trademart shed, a 16kW system on the Mechanics shed, a 30kW system on the Oil Mallee shed and a 26kW system on the Pottery shed. All of the systems comprise Suntech 250W panels and a combination of SMA 15kW and 10kW inverters. 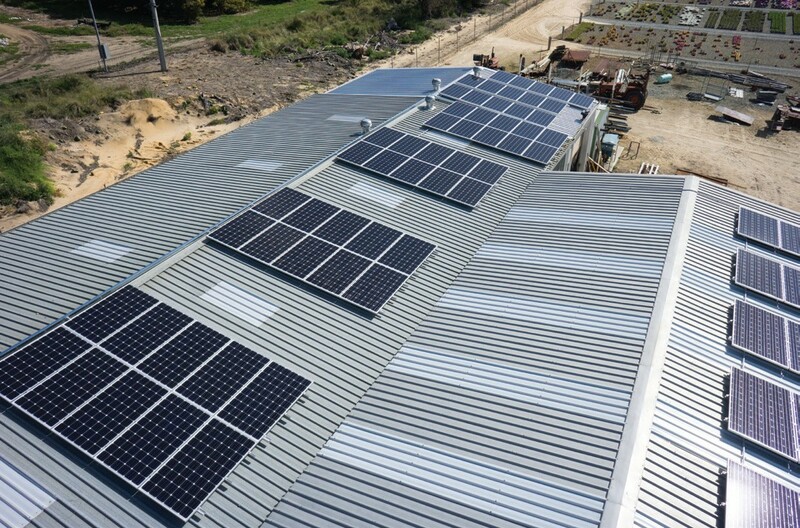 The 30kW system installed at the Wanneroo site comprises 120 x Suntech 250W panels and 2 x SMA 15000TL inverters. The systems are flush mounted to the shed roofs. The director of the company has been so happy with the system that he has also commissioned Solargain to install a 5kW system for his own house.